Mid Penn Bank, subsidiary of Mid Penn Bancorp, Inc. (NASDAQ: MPB), has opened its Pillow branch, located at 193 Market Street. To commemorate the opening, the bank held a ribbon-cutting ceremony on September 12, 2018. The Pillow location is the bank’s sixth branch in Upper Dauphin County. Mid Penn Bank has opened its Pillow branch, its sixth branch in Upper Dauphin County. To commemorate the opening, the bank held a ribbon-cutting ceremony on September 12, 2018. The Pillow branch further expands Mid Penn’s footprint to include 38 branches in Pennsylvania. Mid Penn Bank has been locally operated and headquartered in Millersburg, Pennsylvania over the course of its 150 years in business. 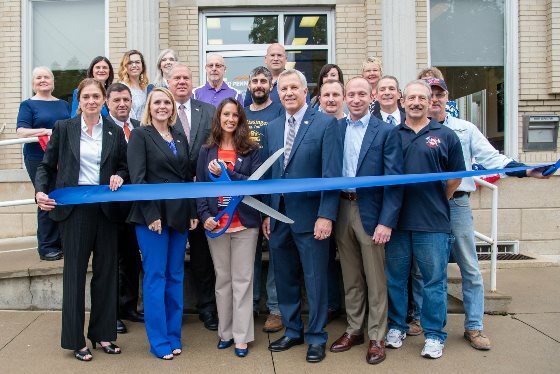 While the bank has continued to grow, with its service area now spanning from western to southeast Pennsylvania, it has maintained a strong commitment to Upper Dauphin County. In addition to traditional branch banking, Mid Penn also offers online banking, mobile banking and telephone banking to provide customers with on-the-go, instant account access.